May 1, 2016 was the life changing day, having a six-year-old boy, a one-year-old baby girl and a beautiful wife and a string of horses that we finally got to perfection. 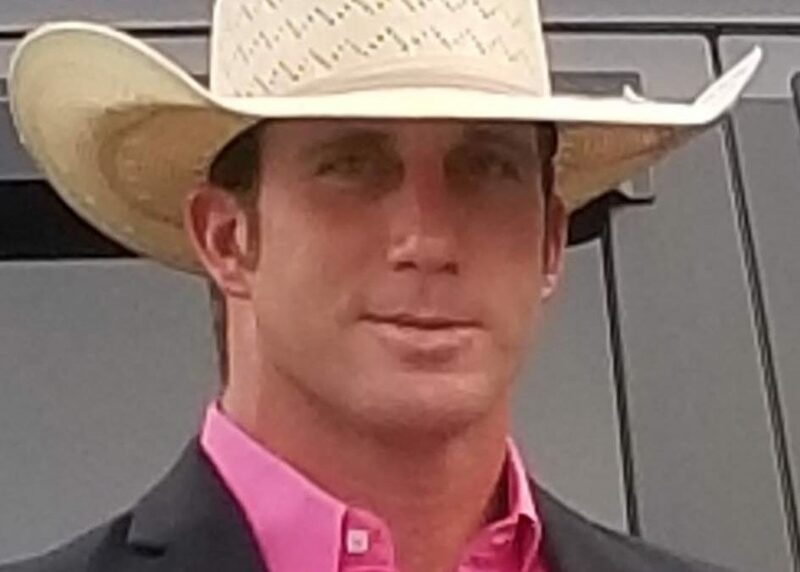 I was big into ranch rodeo, riding broncs and team roping along with a wife who barrel races and kids in youth rodeos, all while having a full time job working for CoServ as a lineman. Life was good, we had some rodeos planned out for the month and we were excited and prepared. My son and I jumped on the four wheeler after getting back form a jackpot team roping to feed, we were headed back to the house and that is all we remember. I woke up in the hospital not being able to move anything. Knowing the shape I was in made me worried what shape my son was in. He had a concussion and a small laceration on his face and was released form the hospital that night. I broke my neck in three places my C2, C5 and C6 with a C4 spinal cord injury, I was paralyzed from the shoulders down. Dr. Aryan with Axis Brain & Back Institute did surgery that night and gave me a two per cent chance to move again. The thought of never being able to hold my kids and my wife again was devastating.